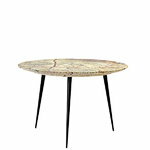 As its name suggests, Mater’s Disc side table features a simple round top that rests on three slender steel legs. 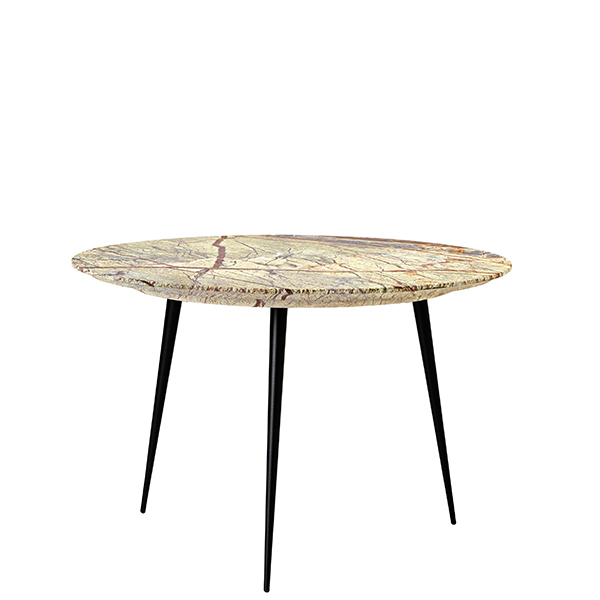 The beautiful, curved top is handcrafted of green Indian marble with a traditional lathe technique used in workshops across Rajasthan. 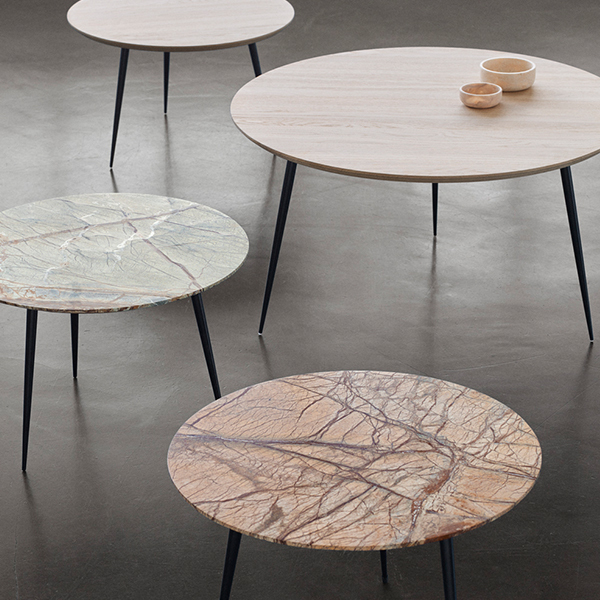 Disc charms with its minimalist design and unique marble pattern in any lobby and living room.